Experience archaeology first hand, perhaps for the first time! - They make ideal gifts for friends and family who might have always wanted to try archaeology. 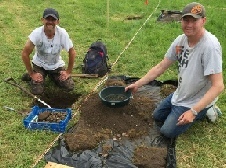 Gain more experience of a wider range of archaeological methods. Is having a go at Archaeology on your Bucket List? Have you or someone you know always wanted to try archaeology but never taken the plunge? £40 per person per day. 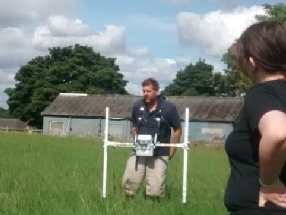 Geophysical magnetometer survey is the most widely applied method of geophysical prospection used in the UK to detect and map archaeological sites. 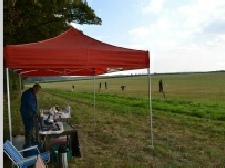 Fieldwalking uses girds or lines to divide up a field in order to allow the objective collection and recording of artefacts. Come and learn the techniques involved in this form of archaeological prospection. By looking at the distribution of artefacts within a field we can begin to say something about the type and nature of past activity in that field. 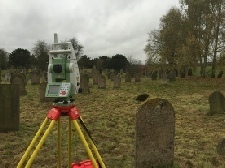 In archaeology the ability to measure the location of a site, artefact, or earthwork is essential. Come and measure accurate points to record archaeological sites and their features, and help to understand them in their landscape. These days are also designed to help people who wish to, to gain experience towards completing Primary and Secondary Skills for their Archaeological Skills Passport.